Anthony Garcia is sleuth, clue master and translator. He was called upon to solve the cryptic riddle and uncover the author(s) concealed within the play, Alabados—the original basis and impetus for the Portal of Light. Garcia listened to the Alabados through his family members as a child, intrigued by the lyrics and genre. The organic understanding of the Kabbalah and its mysterious concepts are innate to the historical linkage to his family roots and ties to the origin of the play. The Portal of Light is an enlightenment and discovery of self and for a community for the author Anthony Garcia. Revealed are the Judaic roots and history of a cryptic Judaic community that has influenced language, culture, song, emotions, history and values of an entire populace in the American Southwest. A revelation, exposure and validation of what the true meaning of faith and what sacrifices and knowledge were employed for the survival of one’s faith. While Garcia was elated to decode a word, phrase or sentence, he then at once felt a sadness, for he knew this cryptic thought was placed there for the purpose of survival. Garcia is Founder of TwentyFirst Century Investments and Benefits, located in Denver, Colorado. A native Coloradoan with family roots in northern New Mexico, he is in constant contact with the land and people of the 33° Latitude in New Mexico. Garcia has earned a M.S. in Finance, a M.S. Minor in Health Administration from the University of Colorado-Denver and B.S. in Business from the University of Colorado-Boulder. Garcia is founder and writer of the website www.Alabados.com of which is the original basis and impetus for the writing of this book the Portal of Light. Garcia listened to Alabados as a child and the lyrics and genre always peaked his interest which began his study of the Alabados. 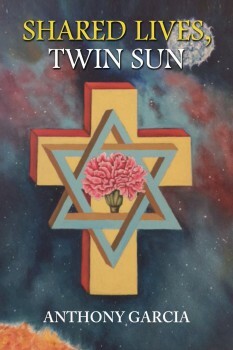 The organic understanding of the Kabbalah and esoteric concepts are innate to Garcia’s historical linkage to his family ties to the origin of the Alabados. He enjoys traveling and Latin dance.